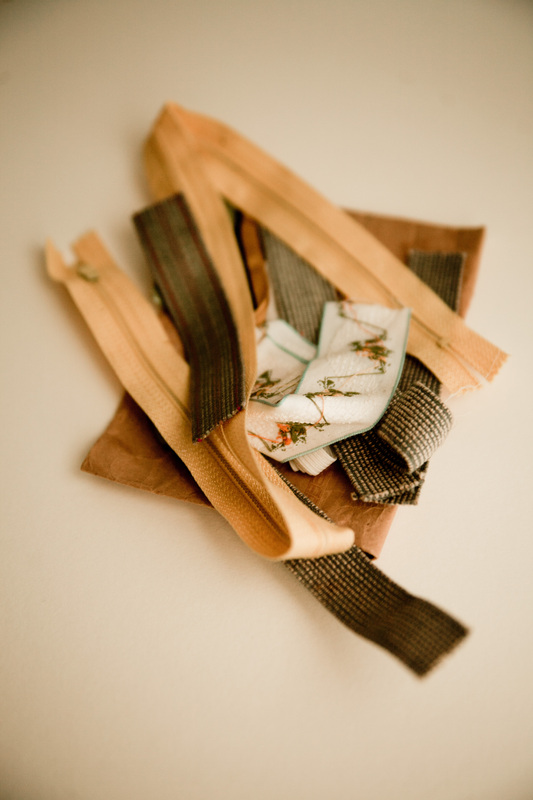 Aline Leasure Hopkins folded up these zippers and elastic one day, and packed them away where life’s small things go. Then, she moved to Madison, Wisconsin to live near her son, Edward Hopkins. After she died, Ed kept boxes of her things in the middle bedroom of the house he shared with his wife, Kay. Kay gave me one of those boxes today, marked “Sewing Trimmings.” And there I found the zippers and elastic, just as Aline had laid them aside, to use another day.